In a large saucepan, add all the ingredients and bring to boiling over medium high heat. Let cook over medium low heat for 15 to 20 minutes, stirring often. Season with salt and pepper to taste. 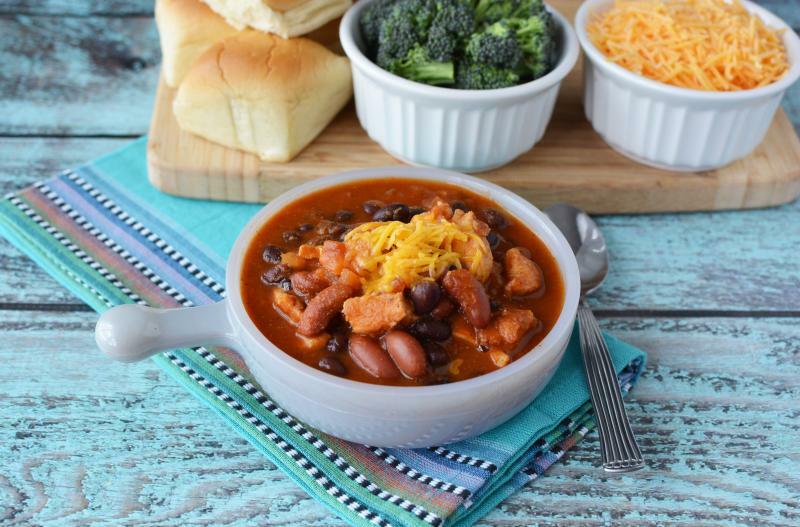 Serve Cowboy Chicken Chili with shredded cheese garnish, and side of veggies and dinner rolls. Open, drain and rinse 2 cans of red kidney beans and 2 cans of black beans. Open 2 cans of tomato sauce. Put baggie in the freezer and freeze up to 6 months in fridge freezer or 12 months in a deep freezer. 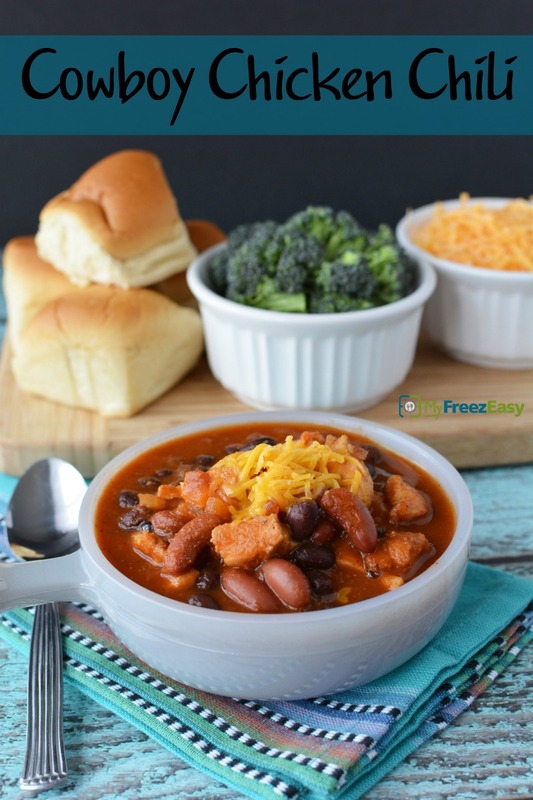 Thaw in the fridge overnight, or a warm bowl of water for about 20 minutes, before transferring all of the contents of the baggie into large saucepan or Dutch oven. Cook over medium low heat for 15 to 20 minutes. Thaw and add contents of baggie to large saucepan or Dutch oven. Cook over medium low heat for 15 to 20 minutes. Serve with veggies and dinner rolls.